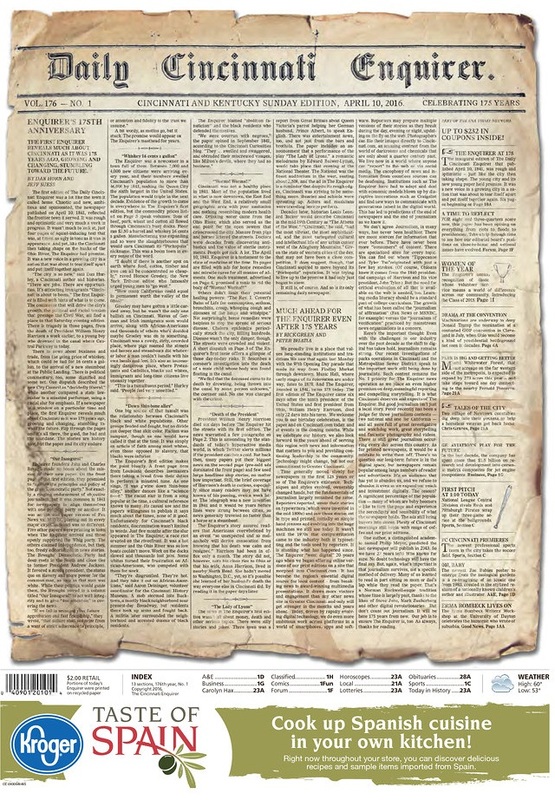 With four pages, the Ohio paper launched on this date in 1841. Remember when newspaper front pages were filled with long columns of fine print and generally more modest headline font sizes? 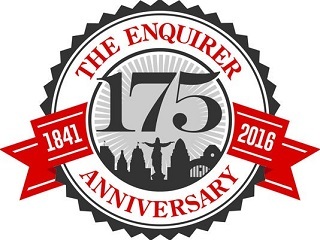 That bygone style has been adopted today by the Cincinnati Enquirer in honor of the paper’s 175th anniversary. Here’s the important thought: Even with the challenges to our industry over the past decade as the shift to digital has taken hold, journalism remains strong. 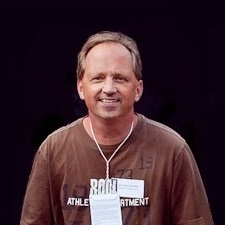 Our recent investigations of parks operations in Cincinnati and the Metropolitan Sewer District speak to the important work still being done by journalists. Such content remains the No. 1 priority for The Enquirer news operation as we place an even higher premium on deep, meaningful reporting and compelling storytelling. It is what Cincinnati deserves and expects of The Enquirer. As for printed newspapers, it would be a mistake to write them off. There’s no question our long-term future is in the digital space, but newspapers remain popular among large numbers of readers and advertisers. It’s an audience that has yet to abandon us, and we refuse to abandon it even as we expand our reach and investment digitally. Enquirer founders John and Charles Brough made no bones about the mission of their new paper. Not exactly a ringing endorsement of objective journalism, but it was common in 1841 for newspapers to align themselves with one political party or another. It was an ink and paper version of Fox News vs. MSNBC playing out in every major city. On April 24, the paper will publish a special section for subscribers about changes made at the paper over the years. Other anniversary celebration elements include a look back at notable editorials.